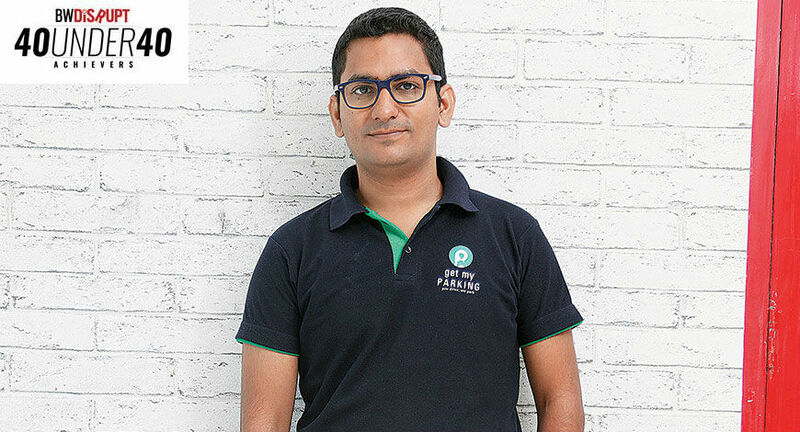 Get My Parking is a Delhi and Banglore based startup, founded by Chirag Jain (IIT Madras) and Rasik Pansare (FMS Delhi), and Rahul Gupta (IIIT Allahabad). It provides IOT-based smart parking platform which digitizes any type of parking space. Its mobile app gives bird’s eye view of all the legal parking lots and empowers users to search, book and navigate to relevant parking. The user can save time, fuel and energy and reduce urban traffic congestion and consequent pollution. Their data-centric approach gives them insights into the urban transport landscape which can be utilized in better urban policy making for smart cities. Chirag Jain was the BW Disrupt 40 Under 40 Achiever of the year. In an interaction with BW Disrupt, Chirag Jain talked about his entrepreneurial journey and shared details about his venture. Success mantra - Persistence. Things will go south, they will deviate from your plan, you will face uncertainties. Only thing that can bring you close to success is persistence. Don’t give up. The driving force behind your success - Well, I wouldn’t categorise myself as successful. I believe there is a lot to be done, and a lot to be achieved before you could call me successful. Tips for budding entrepreneurs - Find your true love, or develop one towards what you have found. If you do it just to make it big, you might run out of steam. Government support - It’s a start, at least they have started recognising us. We have a long way to go. The government tendering process is still more or less closed for startups. They need to put some serious thought around their procurement norms. The team - This is fairly binary. If you don’t have a good team, you know the outcome. I call this ‘necessary but not sufficient’. As an entrepreneur, having the right team in place is one of your greatest requirements. Even the most systemised and financially well-backed business won’t be able to grow successfully without the right team. People want to work for a company whose values are in line with their own values; they want to work at a place that has a culture that inspires them and drives them to be better and challenges them. When you combine the values and the great culture with a very strong purpose for being in business, you have a very powerful combination of factors that will serve your company well and inspire the right team more than money or incentives will. Inspiration - I believe in learning from everyone. I look up to my colleagues and have taken inspiration from a charismatic leader, like Mahatma Gandhi. The next step - We are set to bring about change in an untouched part of urban mobility — parking. With several smart city projects on board, we are poised to leverage this huge opportunity with our sharp focus on execution. In lieu of smart urban mobility, we are working towards upgrading our IoT platform to serve a wider range of stakeholders in the parking ecosystem. We are looking at major product innovation, keeping urban mobility and autonomous vehicles in mind. We plan to look at major international expansion in the next three to six months. We are excited about how cities are changing in the future and parking plays a crucial role.